Interesting but you only talk about revenue and debts. 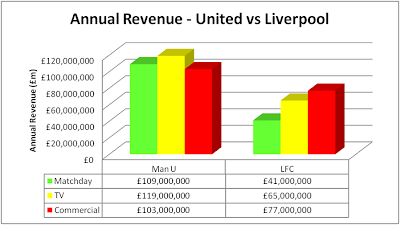 How does running costs stack up between the two clubs? 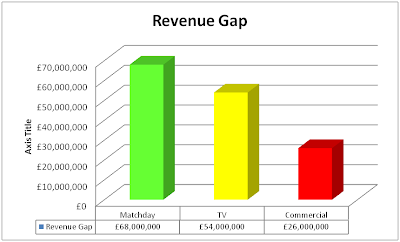 Also the commercial revenue gap will be partially closed by the Warrior deal (25 vs 12m). That will close half the commercial revenue gap. 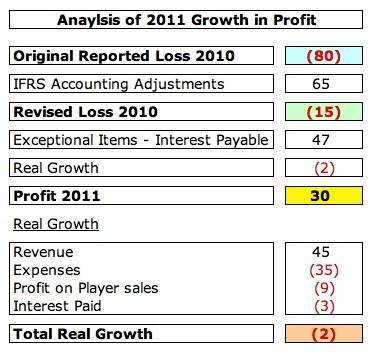 Actually, LFCs commercial revenue is quite surprising given our performance over the past few years. 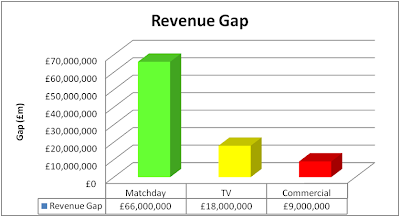 Getting back to CL and getting the stadium deal done are critical to the club's future. 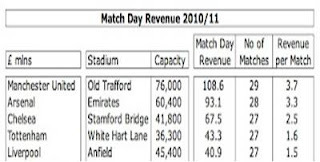 maximum investment for the new stadium can be achieved only if we qualify for the champions league. I think the owners are waiting for this to happen before selling the naming rights of the new stadium. Very good article. 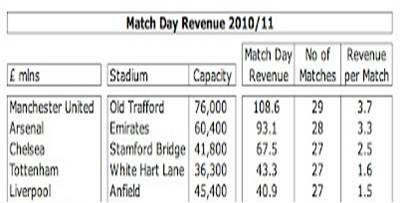 I don't think FSG will invest in a new stadium right away. CL football will be their priority coz unless we have CL football, sponsors will not pay us top money. Let's hope we're in the CL in the 2013-14 season. YNWA.